Our mission is to match foreign purchasers with local suppliers for procuring quality goods and services based on buyer’s request. We maintain an extensive database of high quality, reliable suppliers. Using our broad local knowledge and practical experience we are able to simplify your purchasing process so increasing efficiency and reducing cost. CLSC can match your purchasing request with the most qualified supplier candidates in order to get the products with reasonable price. 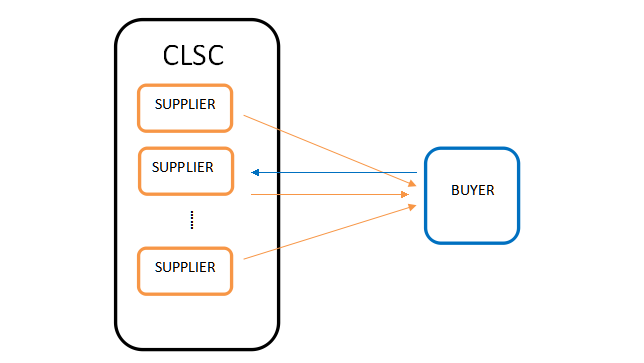 The buyer provides to CLSC sourcing team detailed information on the product, CLSC will identify the product and offer the anonymous supplier candidates list for the buyer’s selection. Based on buyer’s requirement, CLSC offers the most qualified suppliers of the product for buyer’s confirmation. Buyer will start and finish transaction directly with the supplier. CLSC will take no charge.